Did you learn about megafauna as a kid? My guest today is Tanja Bauerle, an award winning children’s book illustrator who is now developing her own children stories. Here is a quick glimpse into her creative mind and working process, a look at her latest projects and her path to getting her own writing published. The mayor wants a community park and safe playground for the children. She enlists a group of kids to join her to ask one of the citizens to donate some of his land. When he agrees, he joins all the families and friends who set out to build swings, benches, gardens, and a fountain. There is excitement and a sense of purpose to build the park for all to enjoy. The whole town comes together to create a beautiful park and celebrate with a grand picnic and beautiful fireworks when the job is done. The narrative text builds line by line and page by page, using repetition and imagery to create a charming story for young readers. Vocabulary recognition and matching pictures to the text helps readers gain confidence in both comprehension skills and predicting a sequence of events. 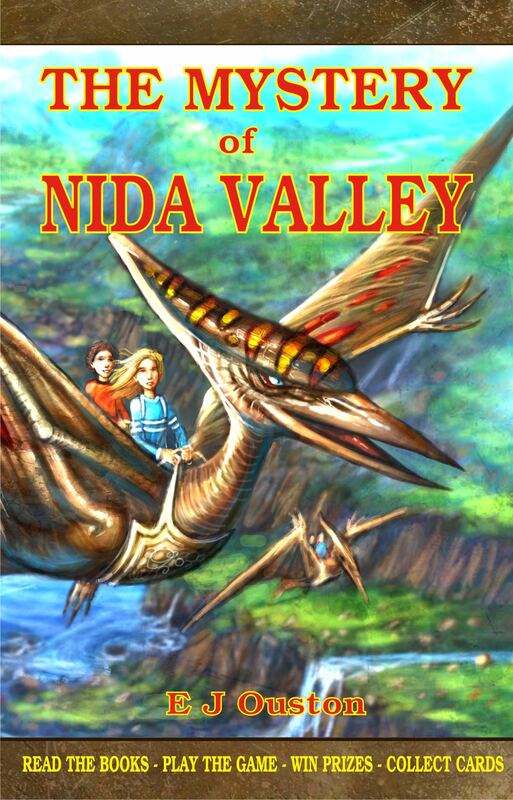 This book is available in both English format as well as concept bilingual, where the story is told primarily in English but Spanish is added as it pertains to the concept within the story. Tell us about your latest illustrated book. Illustrating “The Park Our Town Built” was a very rewarding process for me. I decided that I wanted to add a variety of games into the artwork in order to make the reading experience more interactive. Having two kids myself, I tried to think about what excites them about reading a picture book. Both are very eager to read books that get them more involved in the story, rather than a simply cursory read. I added a hidden picture key into the end papers, have hidden a worm on each page, and incorporated a counting game into the illustrations. Each of these activities encourages the reader to look closely and examine the art work. What more can an illustrator ask for? Check out http://theparkourtownbuilt.wordpress.com/hidden-inside-the-book/ for a more detailed description of the games inside the book. What gets you excited about your books? My favorite part of being an illustrator is to visit schools and attend story readings at book stores and libraries. Talking to kids about illustration and teaching them about what it takes to bring a book to life is so rewarding. There is nothing quite like seeing kids admire your illustrations. During a school visit, I like to show the rudimentary thumbnail sketches that begin the development of an illustration. These are little more than scribbles and stick figures because they are designed to capture the basic idea of what I am trying to show. At this point, the light bulb lights up and they realize that these look very similar to what they might draw themselves. The realization sets in that if you continue to work and refine your sketches, they can eventually turn into a final illustration. This connection with the kids is so incredibly gratifying. What made you decide to pursue writing? I love illustrating and it is something that I will always do. However, there are so many ideas that I have that I would like to see in book form. Instead of waiting for some of these projects to land on my desk, I started writing them myself. The unexpected thing of working in my journal was that I really love writing. Once I committed to fleshing out my ideas, I found that more and more came to me. Do you have a specific way to get ideas? Ideas and inspiration are everywhere for me – playing with my girls, going on a hike, or even doodling in my sketchbook. An idea might start with a word or a sentence from one of my girls. Or it might be something visual that gets me thinking. If something strikes me, I write it down and it grows from there. Coming from the illustration side of the book process, I probably approach writing from a different way than most writers. I see spreads or spot illustrations in my mind. Once I have a story concept, I try to see if I can come up with a visual map of the book first. There needs to be enough visual interest, there need to be page turners, and the visuals should be able to stand on their own. After I’ve mapped things out, I create a story breakdown and note down what each page should contain. As I focus on picture books, I try to be very conscious of the word count and keep in mind that the illustrations can carry much of the information I am trying to convey. The next step is to put it all together in a cohesive written way. Then, I massage and edit, play with voice and language, repeat this many times, until the story tells me it’s done. Then I start the actually drawings for my dummy. I love what I do. I am actively looking for representation at this time. While doing this, I am continuing with my drawing and writing, and taking on illustration projects that come my way. How have you dealt with rejection? Rejection is part of this industry whether you are a writer or an illustrator. Remember, it is not personal. Take rejection as fuel to take your work to the next level. When I am disheartened about this, I try to remember what Tim Travaglini said at our local SCBWI-AZ conference a few years ago, when he was Senior Editor at G. P. Putnam’s Sons. To paraphrase his very wise words, he said that over the centuries, people have been killed over what they had written. Keeping this in mind, who are you to give up writing (or illustrating), after only a few rejection letters. It was a light bulb moment for me. Do you have any advice for writers or illustrators? This sounds a little cliché but follow your passion. Be committed to what you love and continue to refine and develop your craft. Find support from like-minded individuals but take excessive criticism with a grain of salt. If you are passionate, positive, committed, and hard working, you will be amazed at what will come to you. Is your hair really pink? Tanja Bauerle is an award winning illustrator who escaped from many years in the corporate arena of design to pursue her love for children’s book illustration. 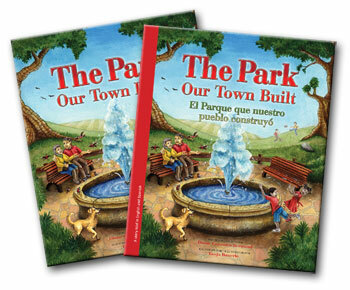 “The Park That Our Town Built” is the third picture book that she has illustrated. She is also illustrating the “Wright on Time” chapter book series. 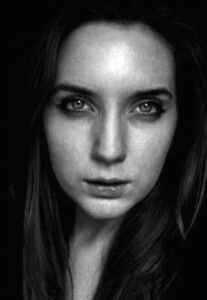 Tanja is currently focusing on developing her own stories and is excited and hopeful to soon be published as both writer and illustrator. Originally from Germany, Tanja grew up outside Melbourne, Australia, and now lives near Phoenix, Arizona, with her husband, Kevin, her daughters, Isabelle and Zoe, her menagerie of two Golden Retrievers and three cats. She is a member of the SCBWI and always working on improving her skills. In her free time, Tanja loves to go kayaking and camping with her family and has recently started volunteering at a local horse rescue. 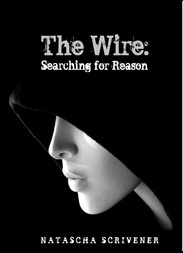 Today I have the pleasure of introducing Natascha Scrivener and her sci-fi/fantasy novel The Wire: Searching for Reason. 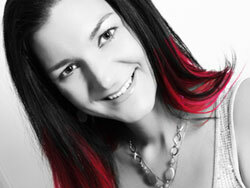 Welcome Natascha. You have approached the publishing of your novel in a slightly different way. Tell us about it. The Wire: Searching for Reason was released on 21st July 2012 in installments (1 or more per week) on the official facebook page. Below is the synopsis. On the night of the power collapse that left Old Town in darkness, Reason Goodwin’s father returned from a day’s work at GAME-corp. with their latest creation, the Dream Theatre– a games machine to eclipse all others – a games machine that would bring dreams to life. But the power surge severs the link between the dream state and reality, and Reason’s father returns to reality changed. He mutters of a world captured by GAME-corp. called Albia, and of game players from Earth unknowingly crossing between the two worlds via The Wire, their avatars playing out their fantasies and destroying Albia. Now people are dying as Albia fights back, and it is Reason’s mission to save her father, Albia, and the very future of Earth itself. Tell us a little about yourself. When did you start writing THE WIRE? How does your writing process look? Consistent with regular amounts of word counts daily/weekly… or more sporadic with a gush of words all at once and then a dry bed for a while? Usually it is the latter, unless I am being particularly strict with myself. But with THE WIRE, it’s different as I have to get a piece or two (at least) written every week otherwise readers will lose interest. I’m particularly looking forward to that part of the challenge! Which character speaks the loudest, to you? Do any of them clamor to be heard over the others? When was that point in your life that you realized that being an author was no longer going to be just a dream but a career? I’ve written since I was little, and I’ve always entertained the idea of being a full-time writer, but it wasn’t until I got a job in a local book shop that I realised that I would never be good at anything else – mainly because I didn’t want to be! I hated having a boss, and I felt awkward and uncomfortable being around people all day. I only had one other job after that – working in a care home (where I did my work in peace and quiet, on my own!) since then I’ve been without a ‘proper job’ (although I loathe that term) and am now a full-time writer. Thanks for dropping in. Good luck with your novel. Welcome Rhonda. Tell my readers a little about your novel and yourself. 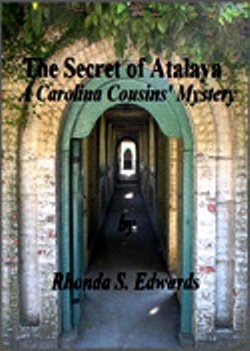 While enjoying their summer swimming, three cousins from North and South Carolina find a secret hidden deep in the walls of Atalaya. This summer home of Anna and Archer Huntington provides clues that help these Carolina cousins prove that many years ago Gullah slaves escaped and merged with Seminole Indians in northern Florida to form what is known as Black Seminoles. 1. Describe your book in five words or less. Gullah and Seminoles impact history. 2. How did the ideas for your book come to you? The idea came after visiting the summer home of Anna Hyatt Huntington which is located at Huntington Beach State Park, in SC. 3. Is there a message in your novel that you want readers to grasp? The message is that the Gullah slaves of South Carolina merged with the Seminoles of northern Florida to form the black Seminoles who impacted the history of the United States. 4. Why did you choose to write in this genre? To promote children’s love for history. 5. Does the life of your main character parallel with yours in any way? The Carolina Cousins’ personalities are modelled after my nephew and granddaughters. 6. Did you have the manuscript professionally edited before it went to the publisher? My mother, an avid reader, and my sister who is a media specialist are my editors. 7. Did you submit your manuscript to many publishers before you had an offer to publish? This one was sent to Debra Staples at synergebooks.com only. She has published all seven of my children’s e-books. 8. How did you become a writer? I have been a writer since a very young age. I often kid and say that I must have had just about as many rejections as Dr. Seuss. My first rejection was from Guideposts when I was a senior in high school. Encouraged by my mother and the desire to write, I began sending manuscripts to various publishers once my son went off to college in the late 90s. My first acceptance was in 2008 when Sandlapper Publishing gave me a contract for A Living Mascot which was a true story of the school I teach living harmoniously with a family of bald eagles. Due to the cost of publishing a picture book, my contract was dropped. Heartbroken, I tried several other SC publishers but was rejected as well. One did suggest e-book publication, which would not be as expensive to read. That is when I met Debra Staples after submitting my work to her company. So my journey has taken me from 1978 to 2012. 9. Did you have to do much research for this book? 10. Can you tell me about the main character and what you like/dislike about him/her? My main character/s love the outdoors especially visits to Huntington Beach State Park. They are very concerned with animals they may encounter in any habitat. 11. Is there something that sets this book apart from others? This mystery is woven among historical facts concerning aspects of the early history of South Carolina as the children discover clues which lead them to new findings. My hope is through the children’s search for answers, others are inspired to seek knowledge through research. 1. Who is your favourite author and why? Roald Dahl is a favourite author of mine. I love to connect with Matilda and enjoy his outrageous tales of The Twits, and George’s Marvelous Medicine. 2. Some writers have a preferred writing schedule. Do you? Since I teach elementary age and college age students during the school year, most of my writing has to wait until the summer or on holidays. That is not to say that I don’t have notebooks of works in progress, a handheld microphone ready to record thoughts, and folders of articles for research labeled and filled on my computer. 3. Do you have a favourite place to write? Pawleys Island, SC is my home away from home. Several years ago, my husband and I found this wonderful place. Since then, my mom, sister, and I have bought a condominium on True Blue Golf course. We spend July’s together! 4. What is your greatest joy in writing? Having someone read the book and tell me something they learned! 5. What is the hardest part of writing for you? Waiting until I have enough time to delve into a topic. If the research is finished and the muse is with me, the writing flows! 7. What’s next for you? Are you currently working on or have plans for future projects? I need to get my second in my Laurel and Delphinus series complete. These characters are surrounded by the secret of Laurel’s Atlantis ties and mythology. They are crusaders for protecting the environment from catastrophes. 8. Do you have any tips for writers about the writing process or the path to publishing? Never throw an idea out! I think about how I planned one of my books in the beginning and how it had to be changed (which was painful) but in the end loved the new product. As for publishing, I am thrilled with the concept of e-books. Protecting the environment and being able to read great books is the ticket! Find a reputable e-book publisher looking for the genre of your focus and become acquainted. 9. What are the greatest obstacles you’ve experienced on your writing journey? Finding a publisher willing to take a chance on a new writer. 10. What do you love most about writing books f? I love researching and making connections to other content in my books whether it be environmental issues, habitat concerns, or historical events. 11. What advice would you have for anyone wanting to write a book in your genre? Read other children’s books, ask young people what they enjoy reading, and the most important is to know your topic. 12. Other than writing, what else do you love? The ocean! I go to the ocean to restore and renew my spirit. 13. What five words best sum you up? Inquisitive, persistent, knowledgeable, caring, and observant. Thank you for sharing so much of yourself with us. Good luch with the book. 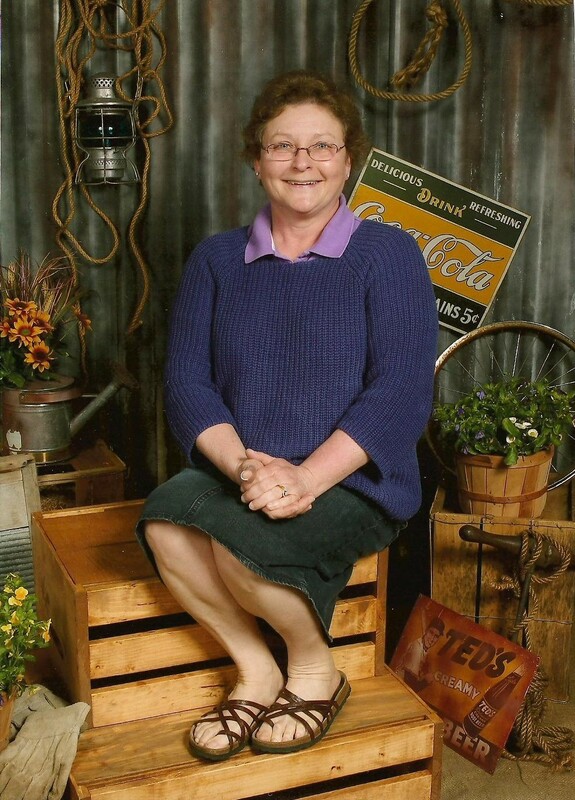 You can find much more information on Rhonda at the links below.